A new study published in the Journal of Bone and Mineral Research suggests that cannabidiol (CBD), a non-psychotropic component found in marijuana, could help the healing process of bone fractures. Researchers examined the effect of CBD on rats with mid-femoral fractures. One group of rats was injected with CBD, and another group of rats with CBD and tetrahydrocannabinol (THC)—which is the main psychoactive element of marijuana. Cannabinoid receptors are stimulated by a neurotransmitter in the body called anandamide. Since THC mimics the actions of anandamide, it can bind with cannabinoid receptors and interfere with memory and cognitive abilities. The team reported that CBD on its own was associated with an enhanced healing process in the femora after two months. Dr. Gabet concludes that researchers should continue this route of study in clinical trials in order to assess its usefulness in improving bone fissures and fractures. 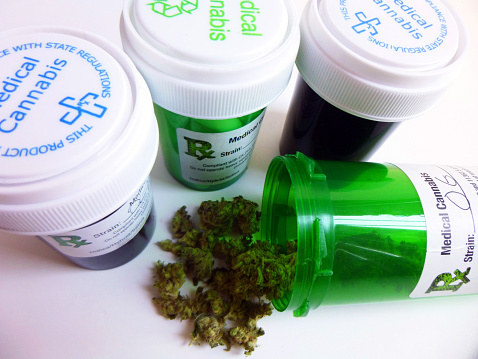 McNamee, D., “Marijuana helps bones heal,” Medical News Today web site, July 20, 2015; http://www.medicalnewstoday.com/articles/297012.php.